Berlinbased agency for live communication Jeff Berlin GmbH approached xoio to conceptualize and create a future urban scenario for staging the smart vehicle study smart vision EQ fortwo. The rich 3d-illustration took part as a core element of an internal event. 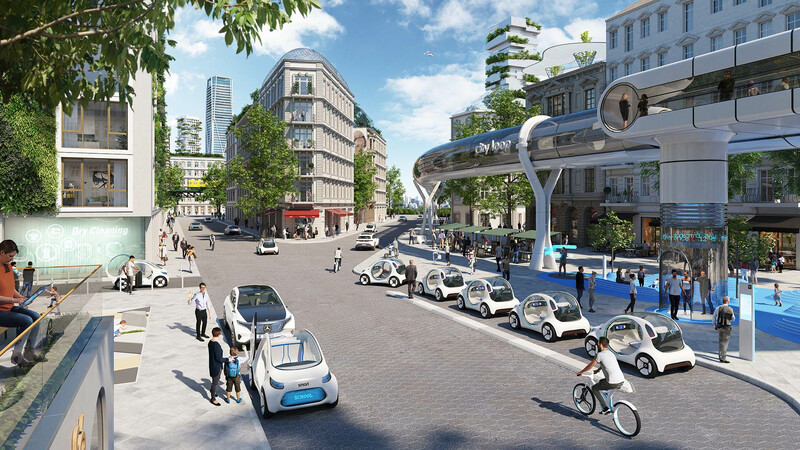 Visual focus is an urban street scenery of an european metropolis displaying futuristic multimodal transportation concepts. Like in our other future scenarios plenty of little narratives are part of this new created smart-world. 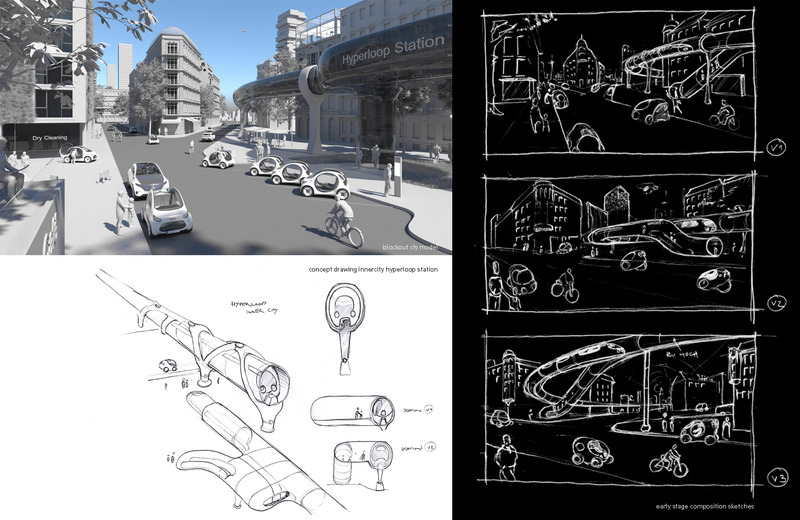 A lean mobilityhub situation – in line parking autonomous “smart vision EQ fortwo” – connects an innercity hyperloop station. Further various versions of the smart study are displayed in individual scenes, e.g. as logistic, ridesharing or private vehicle. Future technology meets in some extend historic urban architecture embedded in an attractive and worth living impression of the city of tomorrow. A big thank you goes to Jeff Berlin and smart for the great cooperation!